Night Moves events are always special to us. They have always been designed with the idea of getting 40-50 people together on a Friday night to go for a run, build community, explore a new part of our city, and raise some awareness for our work at NeighborLink with the hopes that we could make some dollars to fund projects and recruit some new volunteers. Over the past four years, we've done that. 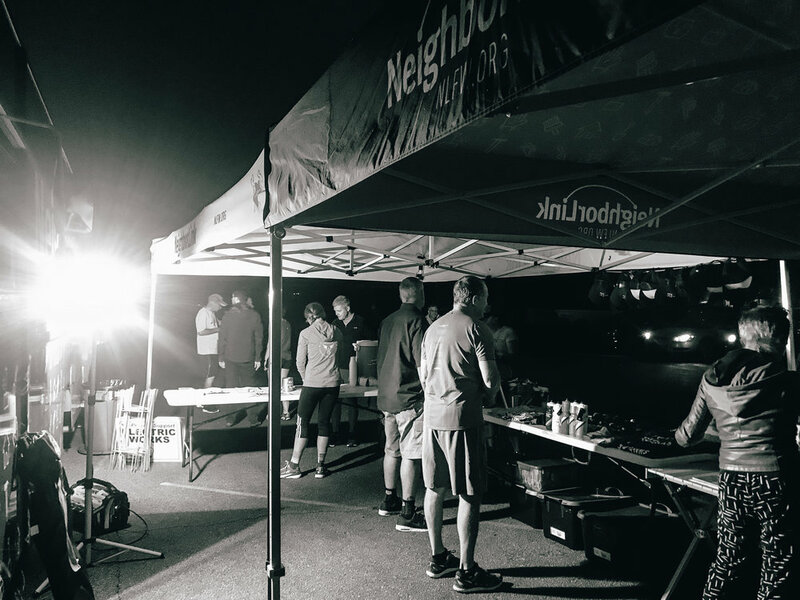 We've hosted over 20 events throughout Fort Wayne, met some really great people that are now volunteers, donors, and Team NeighborLink athletes. We've learned a lot about ourselves, what makes a fun event, and how these events are a lot like our volunteer projects where you know just enough to feel comfortable joining us, but aren't quite sure how it'll all go once you get there. 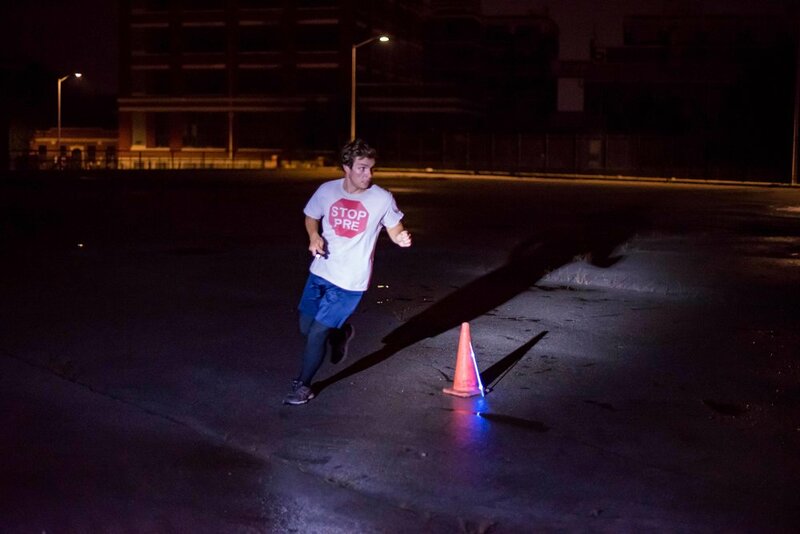 Night Moves participants are different in a good way. They're up for an adventure, in it for the community, and joy of a new experience that also gives back to the City they love. 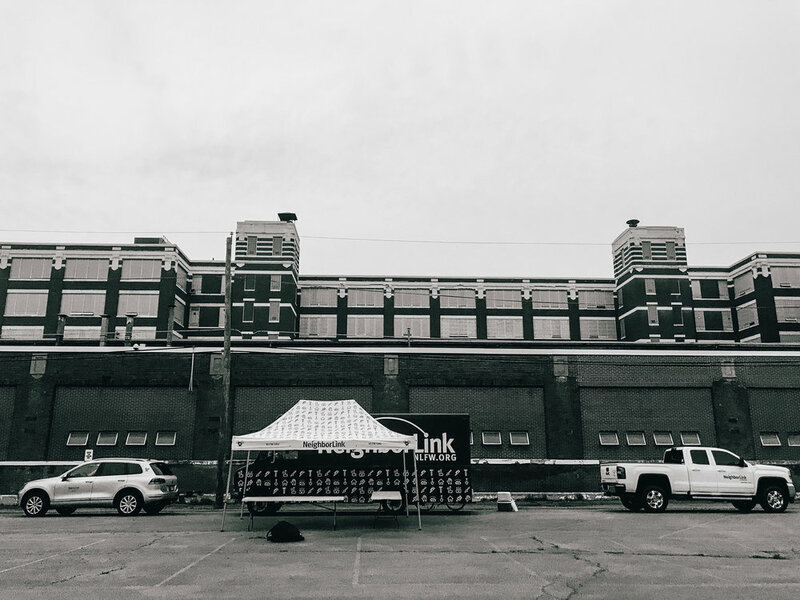 We had a blast last night at one or our City's most prominent historical places and the future home of Electric Works, which is slated to transform our downtown and community at large. Whether you're in support of the project or not, we can all agree that it'll transform Fort Wayne. 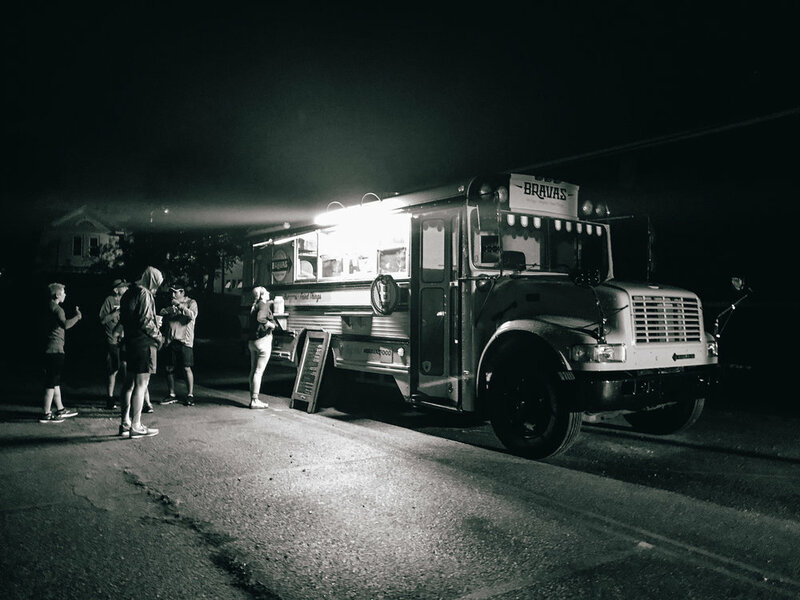 When planning for the 2018 season, we knew we needed to do a Night Moves here and our mini-marathon format would be a perfect event for the campus. 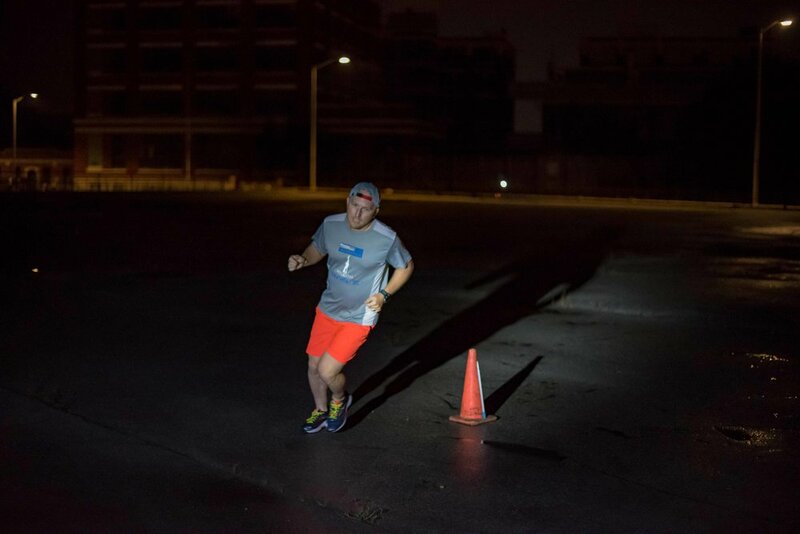 Last night's course went from the gates of a perimeter parking lot down Swinney Ave around the corner and into the gates of the campus. 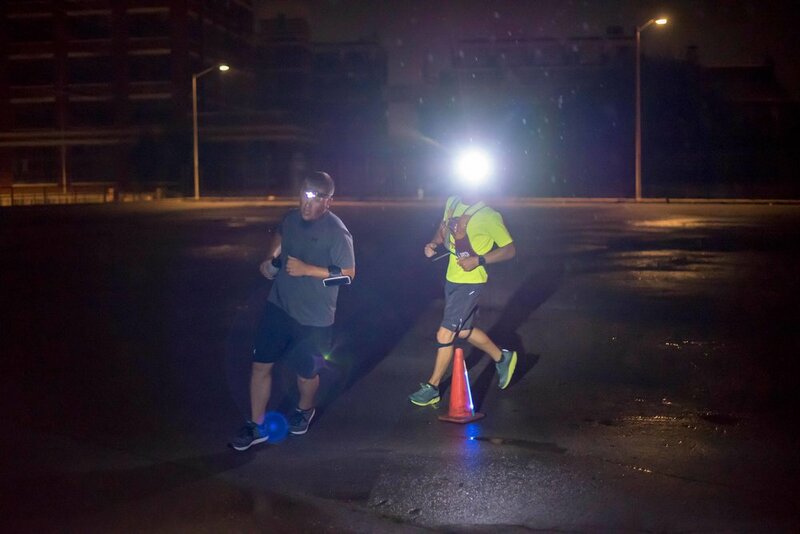 The course continued through the middle of the campus between the giant buildings and over Broadway to the other side of the campus where runners would turn around and head back. 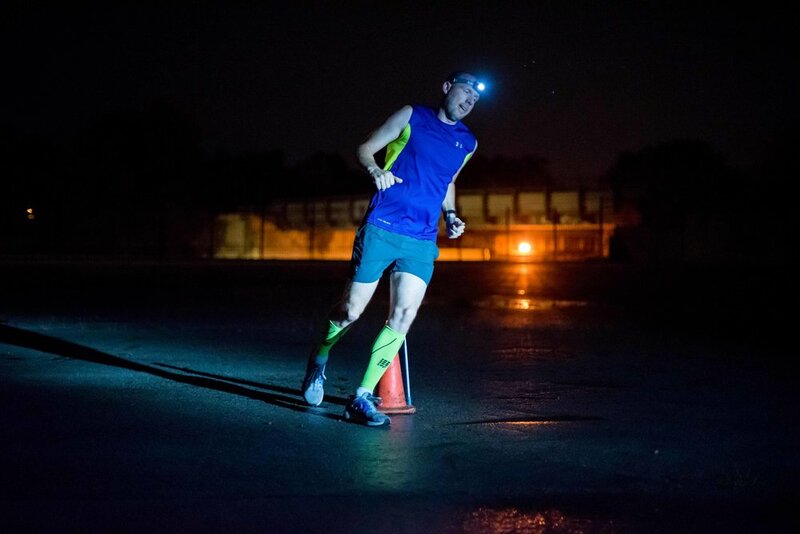 The goal was to create a 1.1mi loop and run it 12 miles to hit a full mini-marathon distance relay run. Our GPS and use of Google maps let us down during planning and we ended up with just a .84mi loop. 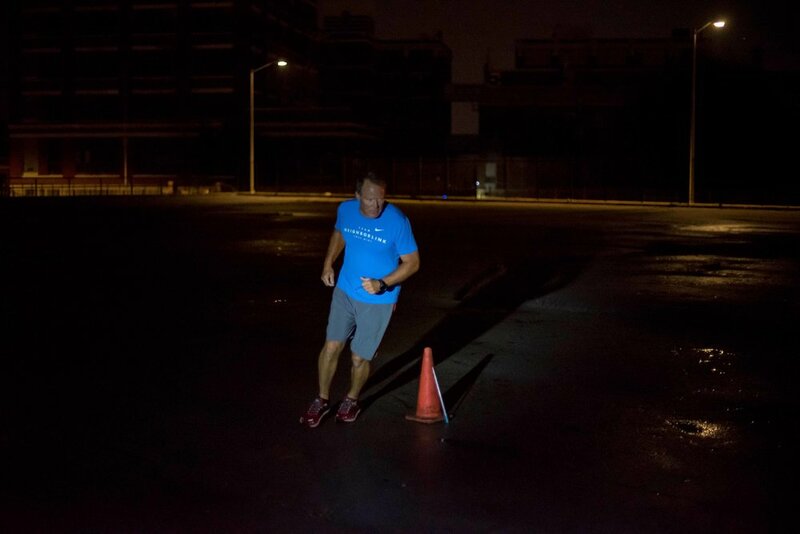 Runners didn't seem to mind as we stuck to our 12 lap program. A team of strong runners from Mad Apple CrossFit took the win and completed the 12-lap race in just 1:01! There were several teams finishing shortly after that time frame. 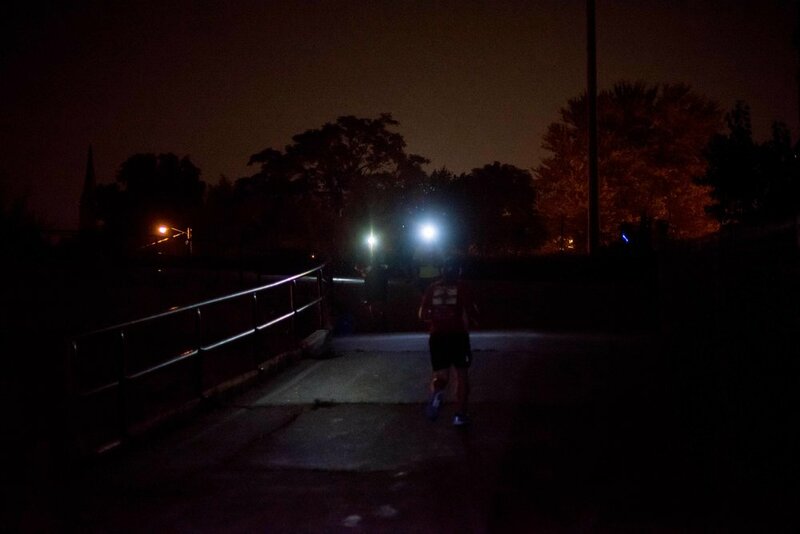 We even had a handful of people run all 12 laps solo as they trained for the Fort 4 Fitness races at the end of the month or other ultra marathon efforts soon. This Night Moves was a perfect example of what we hope they would be. 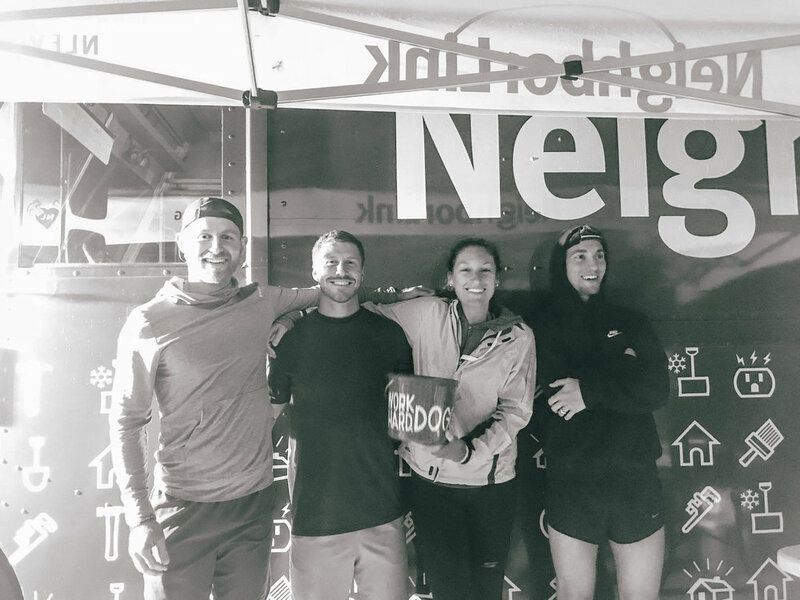 A small community of runners getting together in place where no one has likely hosted a running event before along with volunteers excited to have as much helping as participating. 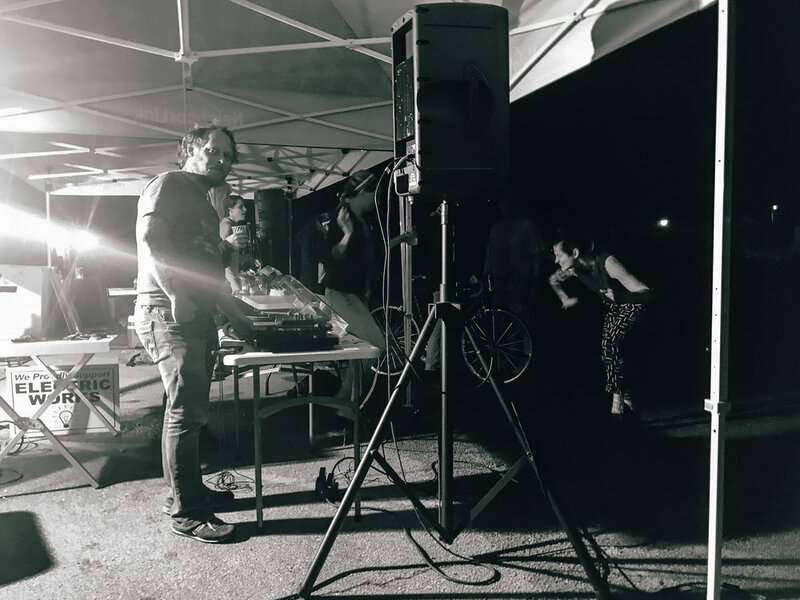 An event where committed community and culture creating partners like Neat Neat Neat Records and Bravas Food show up to do what they do best in support of it. Thank you to everyone that helped support the event in the drizzling rain and cooler temperatures. You are the real champions. Thank you to everyone that has joined us for a Night Moves in 2018 and for the past 4 years. We've had dozens of volunteers who make these events even work and invested hundreds of staff hours to pull these events off. We have so many local business partners to thank as well because they choose to host us at 9 or 10pm after a long week themselves. Community is what this is all about and we feel like we have the best community we could ask for. Most of all, we've raised thousands of dollars together that has helped a dozen homeowners with tangible home repairs that were beyond their physical and financial ability to meet on their own. Neighbors helping neighbors is the spirit, even if you've not met the neighbor you're helping. Know that you've helped.